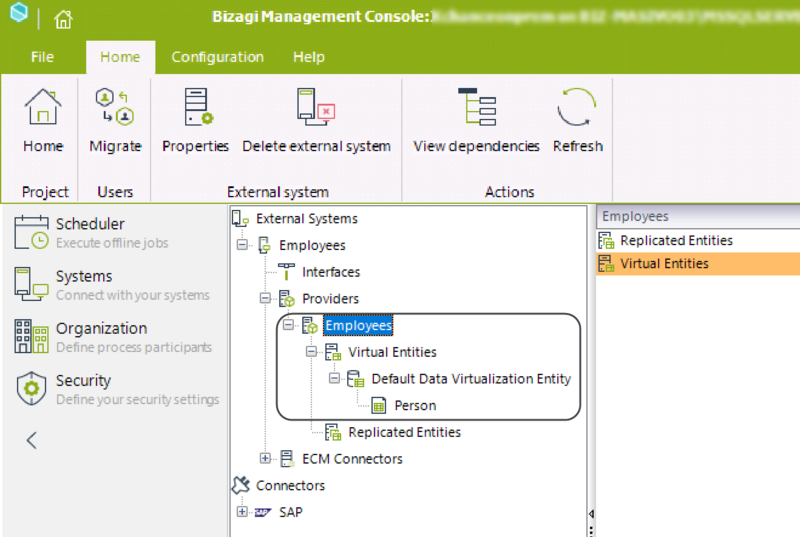 Data Replication and Data Virtualization in Bizagi let you to integrate external data sources in a seamless way into your Bizagi processes. 1. Go to the Systems module (or refresh this view). This displays your integrated system used for either Data Virtualization or Data Replication, under the External Systems node. 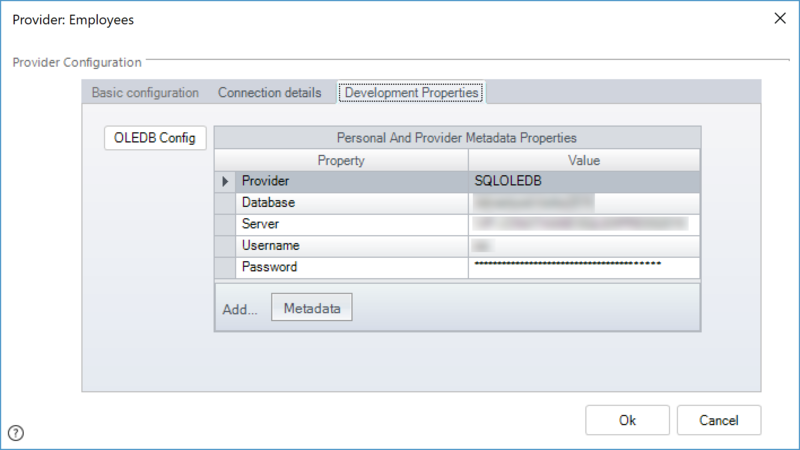 Locate the System you configured for your integrated data sources. In this example, the system is called Employees. 2. Navigate the tree to find your configured providers. All your configured providers are shown. 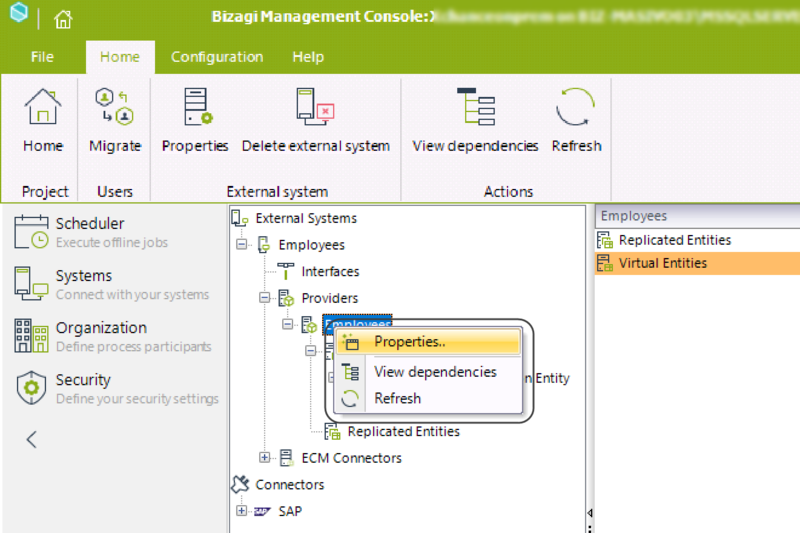 Drill down to review the virtualized or replicated entities. 3. To display the connection settings, right click the provider you wish to review or modify, and select the properties option. A window appears to display the connection details of the provider. On its upper ribbon, click the Development Properties tab. There you can review or modify connection details. Once Data Replication is set in your project, you can verify that its execution synchronizes the values for Parameter Entities with matching values from your external table's columns. This displays the integrated system used for Data Replication. 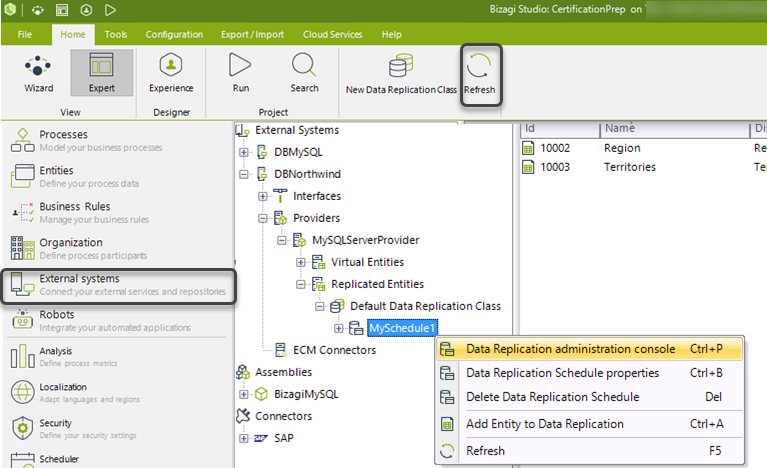 Expand the node elements, and browse your configuration to find the Replication Schema (it is in the particular system, the Providers node, the specific provider, the Replicated Entities node, and finally the Default Replication Class). 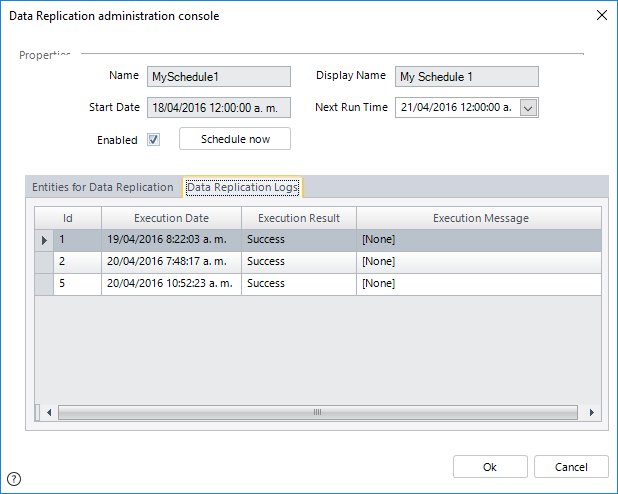 In the window that appears select the Replication Logs tab to display the date and time of replication executions. For any replication showing an error instead of Success status, in the Execution Result column, you can see the Error status, and its corresponding cause (message). 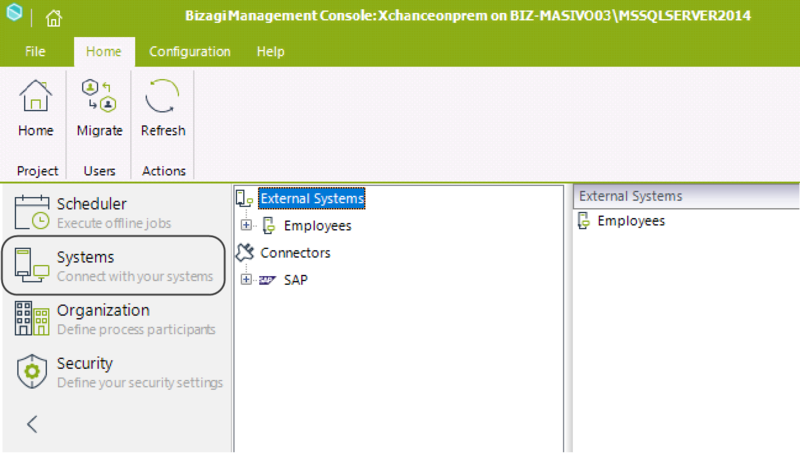 When the Replication Schema has successful executed, you can look for the replicated entities values under the Parameter Entities in Bizagi. This option is used from Bizagi Work portal, in Entities administration.